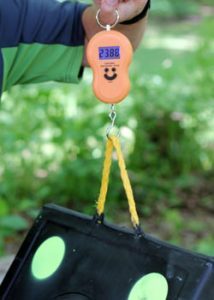 Having a durable and portable archery target in your arsenal is a must if you are a serious archer or bowhunter. The marketplace has so many choices to choose from. 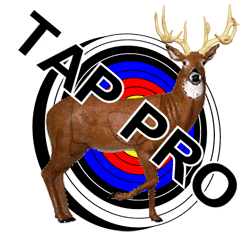 What is the best archery target on the market? Many archers will tell you Rinehart, hands down. 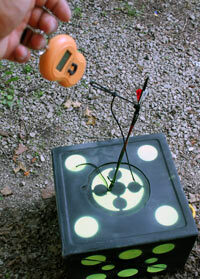 Rinehart has delivered some of the best 3D and cube type targets for many years. 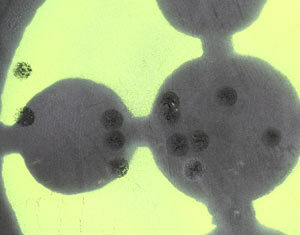 Their targets are known for their proprietary self healing foam which, while weighing more than some other targets, lasts an incredibly long time. In today’s review we are going to take a look at the Rinehart Rhinoblock XL cube style target. 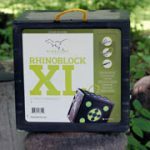 The Rinehart Rhinoblock XL is a 6 sided target that is black in color with 4 sides of 40 highly visible “safety green” target zones and 2 sides with 3D sculpted deer vitals. The Rinehart Rhinoblock XL features Rinehart’s solid core healing foam that will practically close up any arrow hole leading to a long life that is unparalleled in the archery target world. Due to its self healing foam core, the Rinehart Rhinoblock XL does weigh more compared to other similarly sized targets on the market weighing in at over 23.5 lbs. The Rhinoblock XL features a removable core which give archers a strategic place to land their broadheads without killing their targets lifespan. To dive deep into the performance of this target, we took a close look at the stopping power, ease of arrow removal, and arrow impact damage. Let’s look at some data. In this test, we shot the Block 6×6 with a 370 grain arrow at 320 feet per second (delivering 84 ft/lbs of kinetic energy) at 10 yards. The Rinehart Rhinoblock XL stopped our arrows quickly and consistently. Our 29 inch arrows only penetrated 7.75 inches shot after shot. Overall target penetration was 60% which was excellent. When we plugged this data into our “arrow stopping” formula, we came up with an arrow stopping rating of 4.5 out of 5 stars. The Rinehart Rhinoblock XL is different than many of its competitors due to its self healing foam core. This foam core will be your best friend in the long haul, but it does require a break in period until arrows are removed with more ease. Rinehart suggests using arrow lubrication until the target is broken in. To test the force needed to remove an arrow from this target, we used a digital scale along with a rope fastened to the arrow with a series of hitches. We observed and recorded the peak pulling weight needed to remove our arrows. Let’s look at the results. As you can see, with this style of target, you’ll have to use arrow lubrication or exert more force to remove arrows until the target is broken in. We took our data and plugged it into our “Arrow removal formula” and ended up with an arrow removal score of 1.9 out of 5 stars. Here is a look at the arrow impacts to the Rhinoblock XL. Ah the magic of the self-healing foam! This is where Rinehart shines. As you can see the impact holes seal themselves back up shot after shot. This target is very durable inside and out; it’s solid self-healing foam. The durability and consistency of this target give the Rhinoblock XL an impact damage resistance score of 4.9 out of 5 stars. The Rhinoblock XL is one of the Cadillacs of the archery target industry. It’s a quality target that will definitely outlast most of the competition and make it’s slightly higher price tag well worth it in the long run. 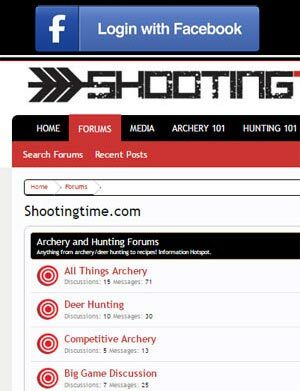 The target has to be broken in some, so keep that in mind when you first start shooting it. If you take Rinehart’s advice and use arrow lubrication until it is broken in, we don’t think you’ll have any arrow removal problems. This target, depending on broadhead use and placement, could last you a lifetime. For more information on this target, visit Rinehart’s website at https://www.rinehart3d.com.